Our current buildings and gardens are being dismantled for the planned renovation of Navarre Park. Please stay tuned for news on our new & better facility to come! We plan to be up & running in 2020! Keep up with all of our current happenings on Facebook! 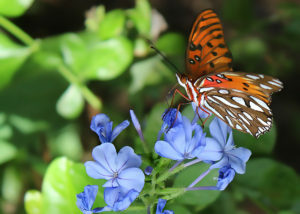 The Panhandle Butterfly House is an educational and interactive exhibit. It fosters a better understanding of butterflies and increases awareness of the natural habitat in which butterflies thrive. Promote and Protect the Pollinators! Look for information on educational events on our Facebook page by clicking on the link in the sidebar. Feel free to give us ideas on new programs. We are listening! We are always looking for butterfly-loving volunteers to join in our mission! If interested, please see the Get Involved page for more details. 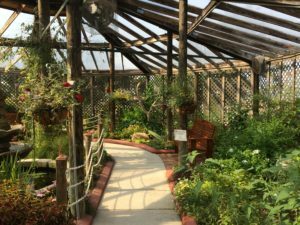 This annual event in October features Monarch tagging in association with Monarch Watch, a butterfly release, educational kids crafts, the Monarch Waystation Journey, games, educational exhibits, and vendors. We are located in Navarre Park at 8581 Navarre Parkway, Navarre, Florida. Highway 98 at the foot of the Navarre Bridge. See the About Us page for a map.